The best camera you have is the one with you and these days it is always the iPhone. If it is lashing rain and you have to pop out to get milk, you would never think of taking a big DSLR with you, but you would not leave the house without your iPhone. And when you are sheltering under an umbrella battling with the wind and before you an image emerges, then you are in luck that you brought your camera with you. This iPhone image is an example of this. Late one evening in Copenhagen, with the rain bucketing down, I had to get out to get some food to make dinner. 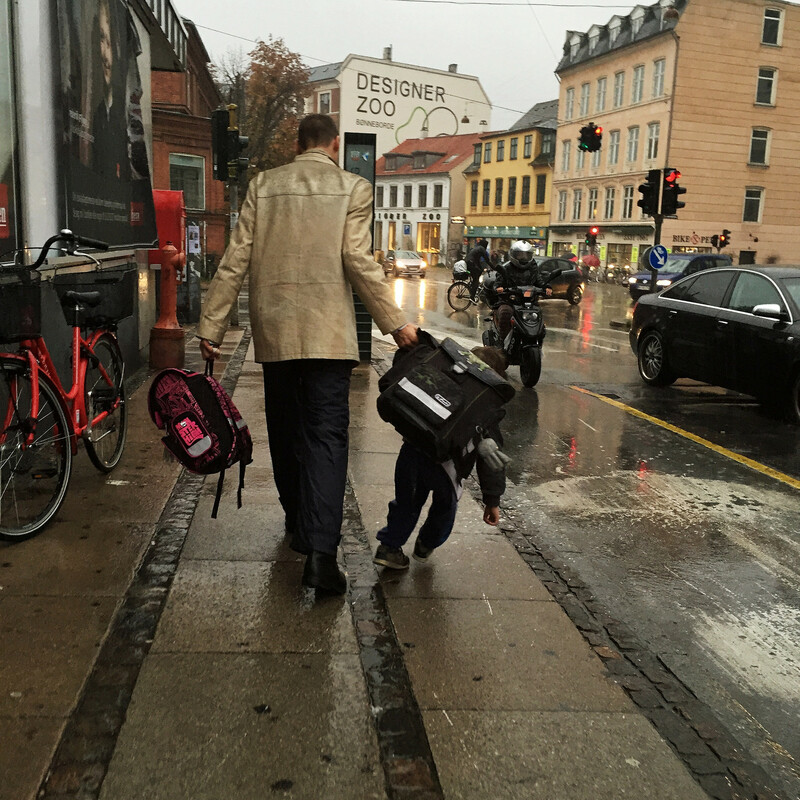 As I was returning from the shop I saw this father struggling with his little boy in the rain. Having a little boy myself, a little boy who on occasion has stopped dead in his tracks in torrential rain and point blank refused to move even a step further, I empathised with this man and his little boy. But empathy passes and instinct kicks in and shutters click to capture the moment. 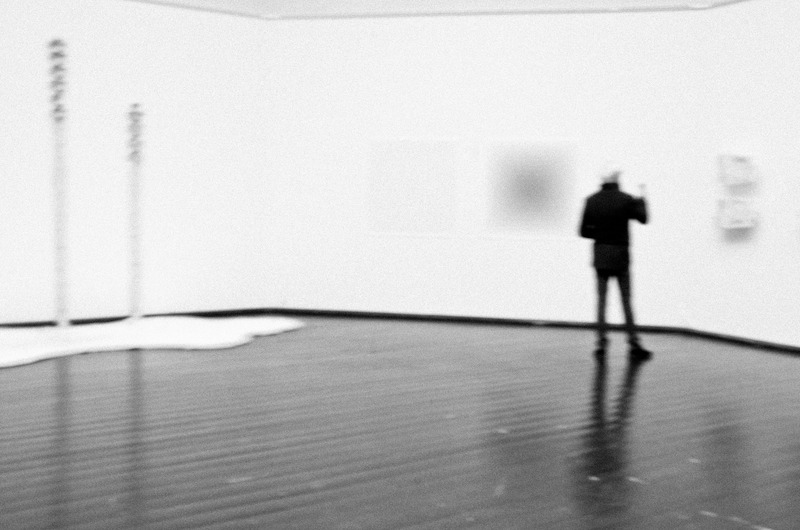 Here is another from the little series of images of people looking at art. The response to yesterday’s post was great. Thanks to all. It is a little disjointed, having a blog where I write about my posts to Flickr. It results in most of the feedback taking place on Flickr. But that’s fine. Thanks again. This entry was posted in Daily posts to Flickr, iPhone, photograph posts, Street Photography and tagged art, black and white photography, blur, blur art, blur photography, Brendan Ó Sé, Copenhagen, Copenhagen Street Photography, iPhone, iphoneography, love, mobile photography, people, people looking at art, street photography, travel.